At a time when most people have given up on any semblance of justice for slain Ferguson teenager Mike Brown, Sherrilyn Ifill and the NAACP Legal Defense Fund have made what may be the biggest game changing request in the case yet. According to Missouri law, a Missouri Circuit Court Judge has the power to appoint a Special Prosecutor in any case in which a citizen has not yet been indicted and prosecutorial misconduct is alleged. 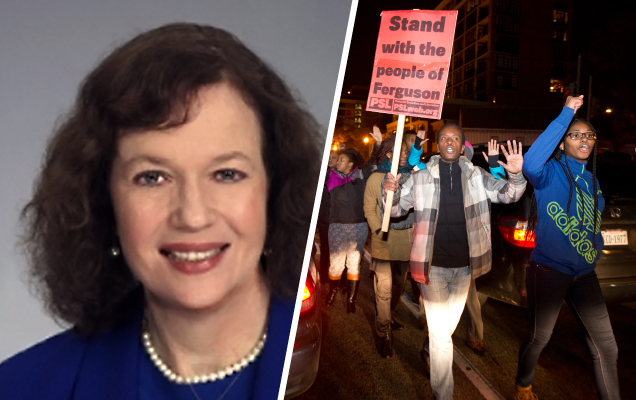 The judge with jurisdiction in the case against former Ferguson Police Officer Darren Wilson is Maura McShane. The NAACP Legal Defense Fund, in their open letter to McShane, makes an extremely compelling case for misconduct by St. Louis Prosecutor Bob McCullough and his staff. In the nine-page letter, Ifill and the NAACP LDF thoroughly detail three instances of misconduct. One is enough to appoint a special prosecutor. 1. How prosecutors violated Missouri law and professional ethics for calling a witness they’ve since admitted they knew did not witness the shooting and was not at the scene. They not only called her once, but twice, and encouraged her to bring physical evidence on her second visit. This witness, Sandy McElroy, perjured herself over 100 times. 2. Prosecutors consistently made documented mistakes in the essential instructions they gave to the grand jurors. MSNBC’s Lawrence O’Donnell masterfully details one such mistake here. 3. Legal analysts and now an actual member of the grand jury felt strongly that Bob McCulloch and his team acted as de facto defense attorneys for Darren Wilson and that it often appeared as if Mike Brown was on trial instead of Darren Wilson. 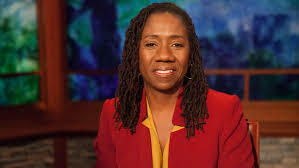 Please read the full letter from Sherrilyn Ifill below. ‹ Every Day, Every Moment, Every Step!